In the wake of Microsoft's announcement that it will be slashing 18,000 jobs from the business - including 14,500 from Nokia - it's been revealed it's also cutting Android out of its life. 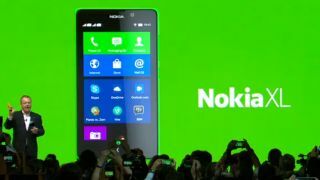 Nokia's first Android handsets arrived to much fanfare at MWC 2014 in Barcelona in February with the Nokia X, X+ and XL set to make waves in developing market. But less than six months since Stephen Elop took to the stage Microsoft CEO Satya Nadella closed the door on the project in an open letter to all employees. Nadella said: "we plan to shift selected Nokia X product designs to become Lumia products running Windows. This builds on our success in the affordable smartphone space and aligns with our focus on Windows Universal Apps." This doesn't mean the current fleet of Nokia X products - including the recently announced Nokia X2 - will be transferred to Windows Phone. This decision affects models currently in development. The situation was explained further by Stephen Elop in an email to all employees. "We plan to deliver additional lower-cost Lumia devices by shifting select future Nokia X designs and products to Windows Phone devices," Elop wrote. "We expect to make this shift immediately while continuing to sell and support existing Nokia X products."